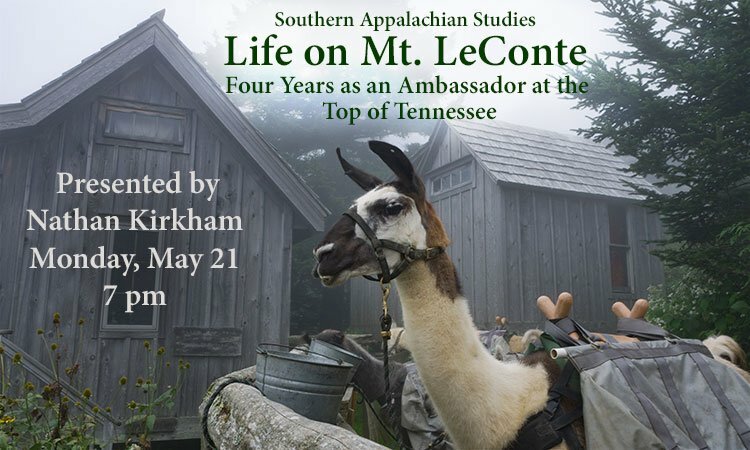 Monday, May 21, 2018, 7 p.m.
Nathan Kirkham, adventurer and former assistant site manager of LeConte Lodge, presents the history of the famous Lodge and how it helped ensure the establishment of the Great Smoky Mountains National Park. He will also introduce you to a variety of colorful characters who have graced Mt. LeConte over the decades. Kirkham has made 76 hikes up and down the five trails that scale the 3,593 ft. mountain. Most of those hikes were nontraditional work commutes between 2010 and 2014. The bears, llamas, backpacks, cathead biscuits, and a wonderful collection of people who brave Mt. LeConte paint a vivid portrait of this period in his life.